Almustafa, the chosen and the beloved, who was a dawn unto his own day, had waited twelve years in the city of Orphalese for his ship that was to return and bear him back to the isle of his birth. And in the twelfth year, on the seventh day of Ielool, the month of reaping, he climbed the hill without the city walls and looked seaward; and he beheld his ship coming with the mist. Then the gates of his heart were flung open, and his joy flew far over the sea. And he closed his eyes and prayed in the silences of his soul. 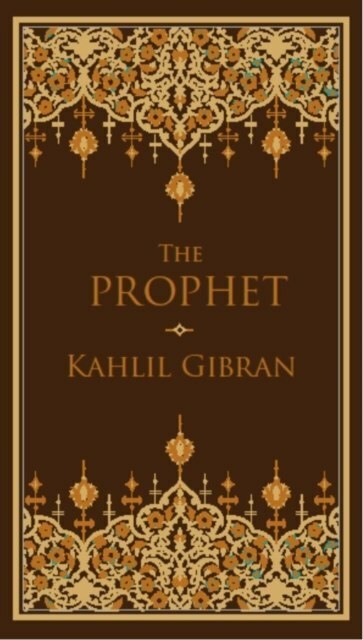 So begins The Prophet, Kahlil Gibran's transcendant verse cycle in which the prophet Almustafa boards a ship bearing him homeward and discusses with those whom he meets on board life, love, and and all aspects of the human condition. Never out of print since its first publication in 1923, Gibran's collection of prose poems is one of the best-loved volumes in world literature.